Do not go out and purchase new glasses. 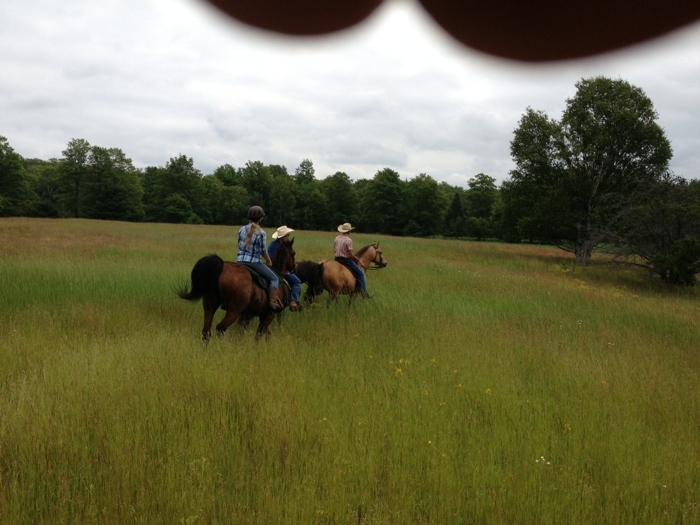 Took photo while on back of jogging horse. 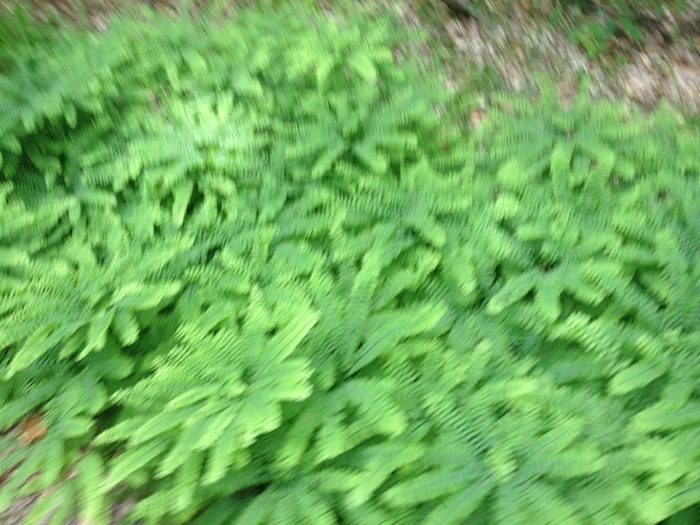 Blurred but I kind of like — maybe better then miles of streets with only potted plants. How ’bout u? I planned that this paragraph 2 be first but as you can c that was not the intent of the ipad mind. Waiting for Grandma to get tooth work done — think I will try to update u all via ipad. Here I am in NYC. Well not really – maybe 20 miles from the city – But it is very much a day like a July day in the city here – hot ( in nineties), crowded, folks dress in very diverse style cloths, cars constantly jocking for parking spaces, and miles of vegetation (all in pots on the sidewalks, in front of stores, hanging from street light posts, in art painted by unknowns on bridge posts & train cars, etc. 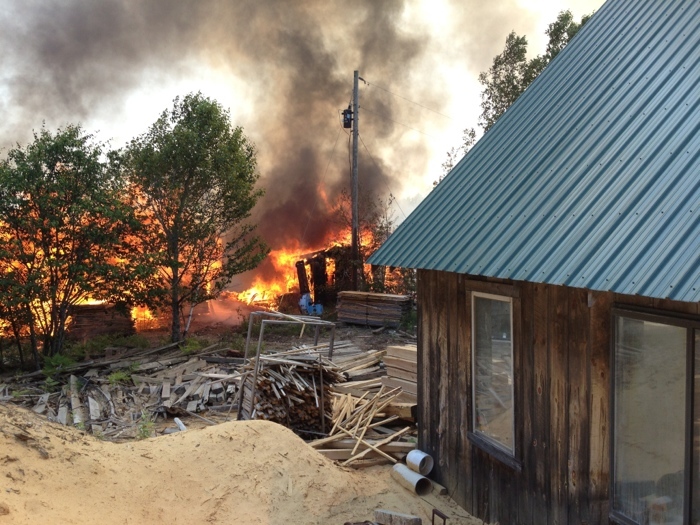 Big fire on July 3 at sawmill next to horse pasture. Local fire department did outstanding job. Saved this building and much more. Thanks for great community service job well done!!! 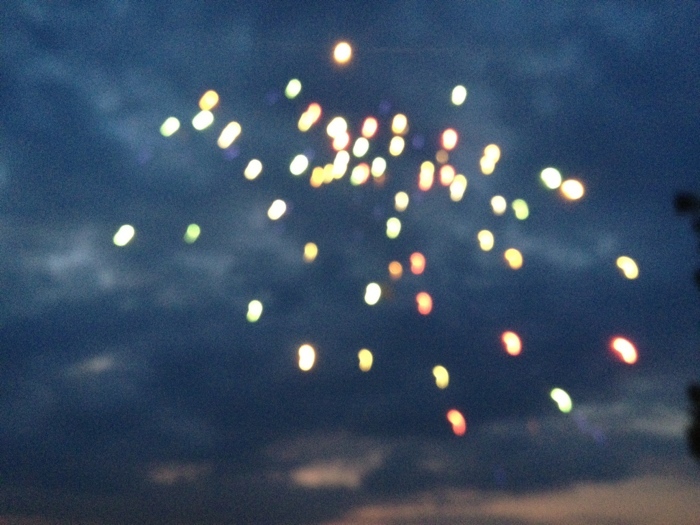 We have the advantage of seeing fireworks in small town called Detour, on mainland. This shot taken from our dock. Off we go to ride in parade. There, parade, back = 5hours. Until I C U again on this blog or in person – have a fun time.